Barely recovered from her brush with necromancy, Ivy is flung once more into a world of intrigue, adventure, and potential death and disaster. It's not her fault-it just so turns out that she's now the only person in the entire world who can communicate with the dead. And they're a chatty bunch with a list of demands. 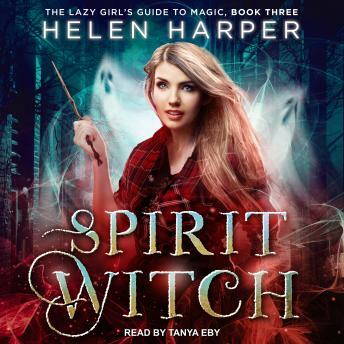 When the ghosts offer information about a witch-hating mass murderer in return for Ivy's help, she has no choice but to get involved. She might be getting herself into more trouble than she realizes, though-and that's even before she's dragged to Sunday dinner so she can meet Winter's family . . .